You know those days when you crave something so decadent that it's almost sinful? Yes? Ok...I'm sharing one of my guilty pleasure with you. 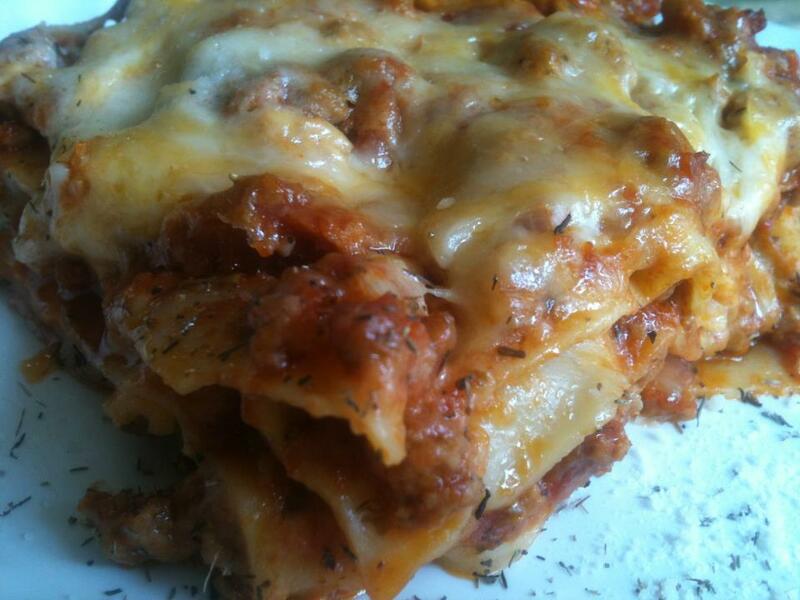 I have a number of lasagne recipes to suit many different types of diets and I will share those with you all, as we go along. However, this one right there throws all rules out the window. Place both ground beef and ground pork in a heated pan. Brown meat and crumble using a wooden spoon. Add garlic, adobo seasoning, black pepper, paprika, onion and oregano and combine well. Once meat is cooked (no pink left) add pasta sauce and cook for another 5 minute then turn off heat. In a sauce pan, melt butter the add flour. Whisk together until smooth and light gold in color. Turn down heat to lowest setting and add 1 1/2 cups of cheese blend. Reserve half cup. Continue whisking until mixture is smooth. Prepare 9" baking pan with cooking spray. Pour a layer of cheese sauce in the bottom of the pan, then a layer of pasta, a layer of meat sauce and a layer of cheese sauce. Repeat layering process until your pan is full. You should have about 4 layers in a 9" pan. Your top layer should be pasta, meat sauce, cheese sauce and sprinkle remaining shredded cheese blend. Bake covered with foil for 50 minutes. Uncover, then bake for another 10 minutes or until edges are brown. This is very decadent. 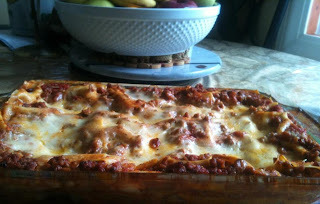 My sister loves lasagna so I will try to make this for her birthday. This looks sooooooo good! I'm going to have to try this.